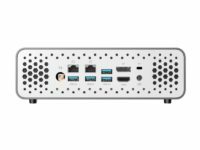 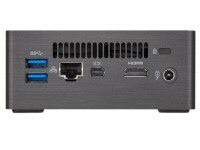 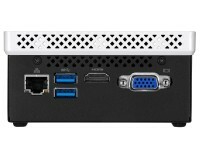 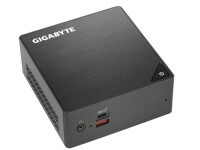 The GIGABYTE BRIX GB-BLCE-4000C supports Intel third-generation low-power dual-core SoC processors which feature power-efficient 6W Intel Celeron models. 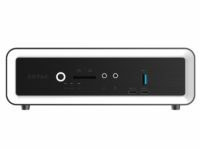 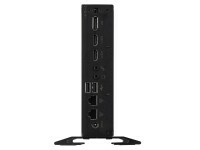 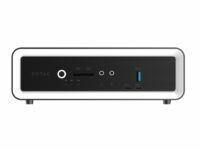 From a simple internet access point to a high end multimedia station, the GIGABYTE BRIX a broad range of usage scenarios and the ultimate space flexibility. 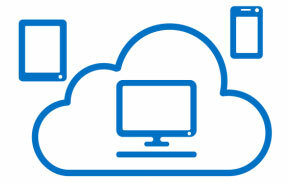 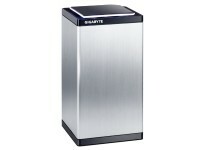 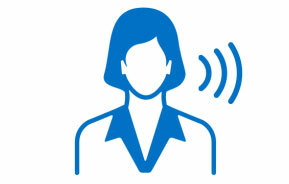 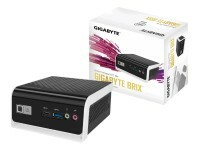 GIGABYTE BRIX is expected to deliver up to 23% improvement in productivity over previous generation. The GIGABYTE BRIX GB-BLCE-4000C provides a 128-bit memory controller that supports DDR4 at up to 2400MHz. 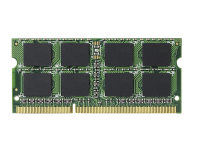 DDR4 is a type of synchronous dynamic random-access memory with a double data rate and high bandwidth interface. 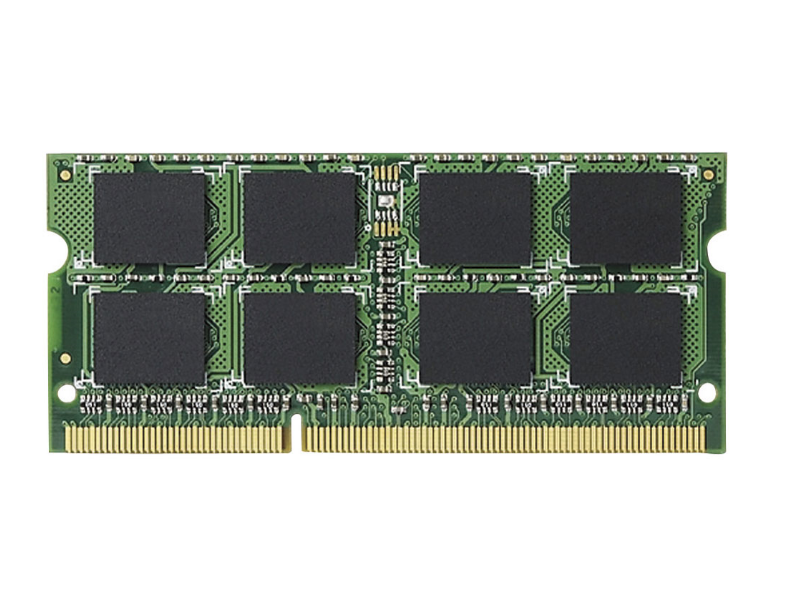 The primary advantages of DDR4 over its predecessor, DDR3, include higher module density and lower voltage requirements, coupled with higher data rate transfer speeds. 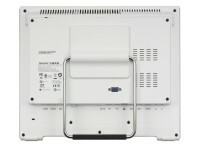 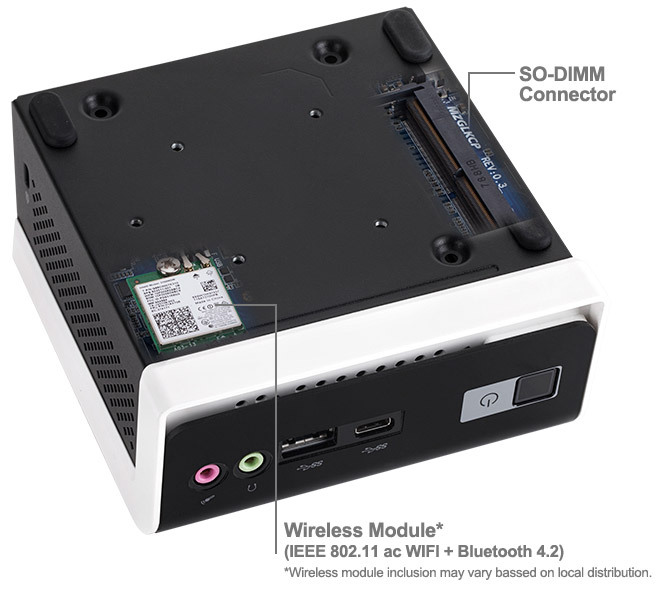 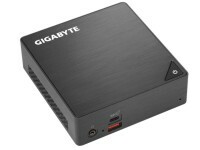 GIGABYTE BRIX™ also includes a M.2 module offering IEEE 802.11ac Wi-Fi and the latest Bluetooth 4.2, providing connectivity for low power Bluetooth users to easily connect mobile devices. 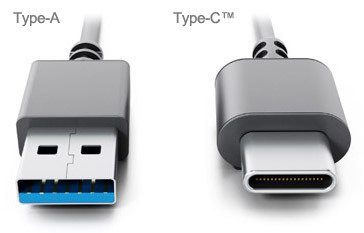 * USB Type-C™ is a new reversible connector. 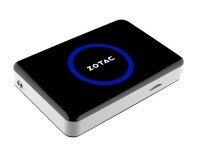 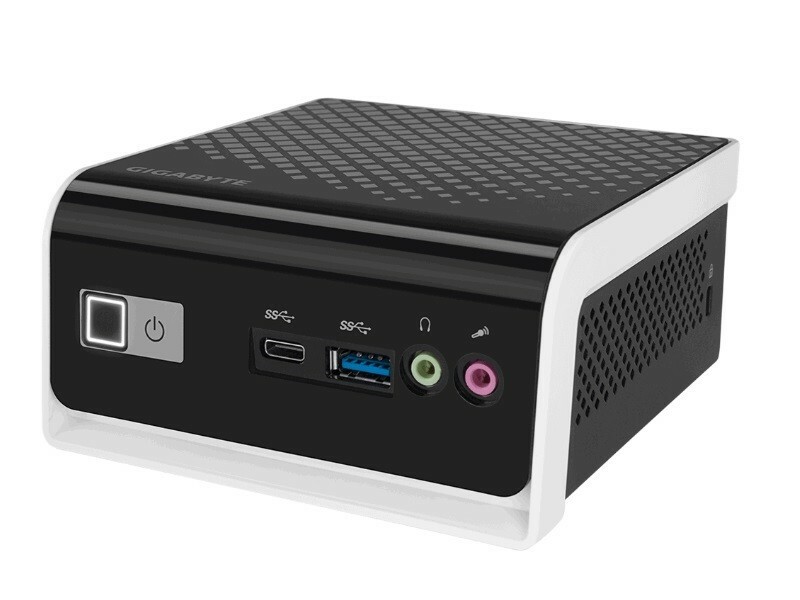 Set your Intel® Ready Mode Technology – equipped PC to sync and store photos and files across devices automatically when you arrive at home or the office. 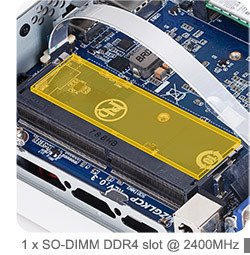 And application updates? 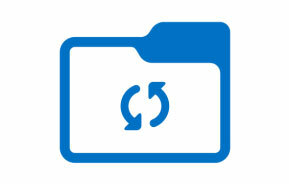 They’re automatic too, which means you’ll always work with the latest versions of your favorite tools. 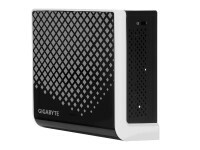 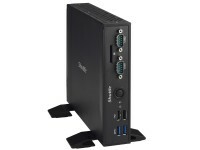 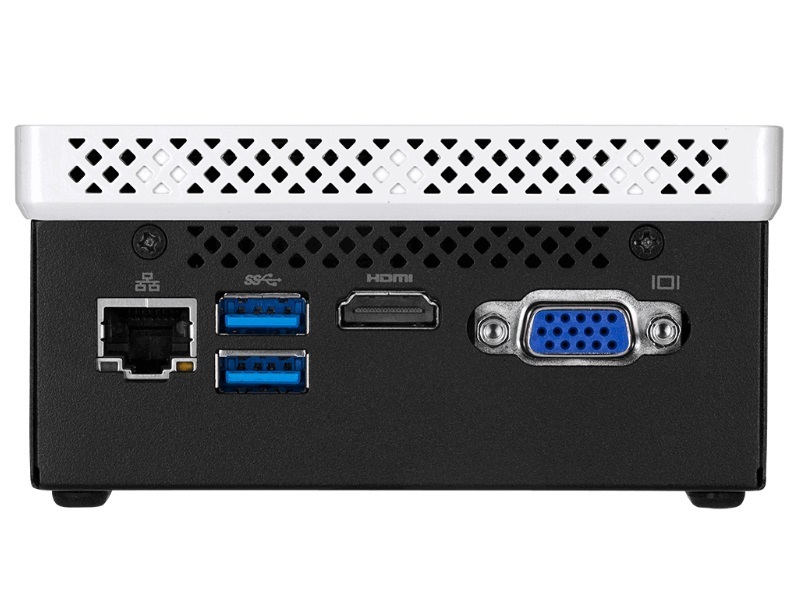 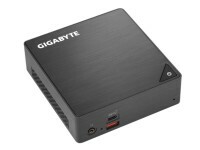 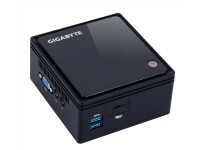 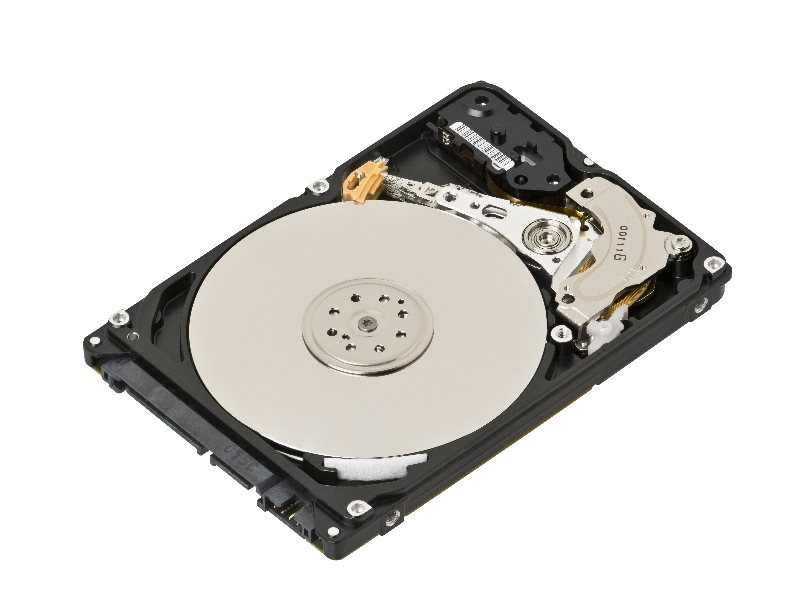 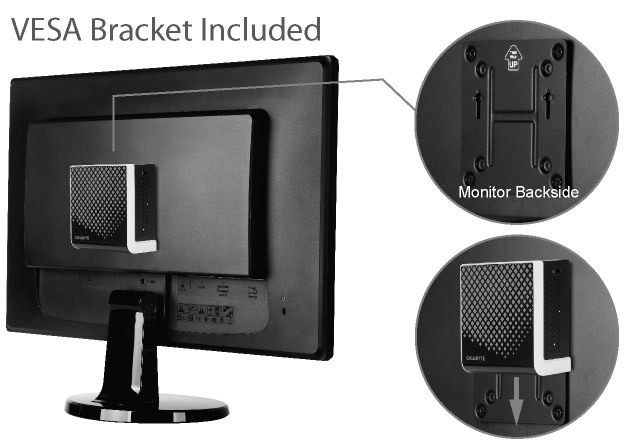 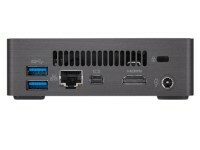 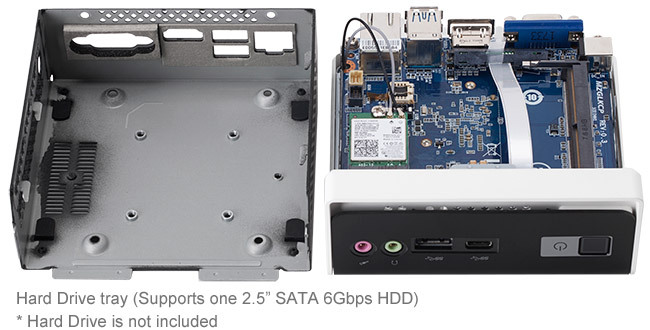 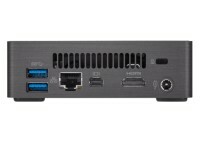 The Gigabyte Brix GB-BLCE-4000C features a dual core celeron cpu, ram up to 8GB Ram. 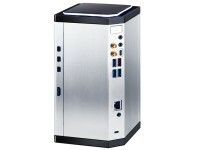 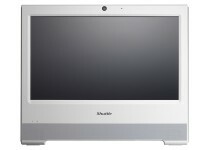 It is a total fanless PC. 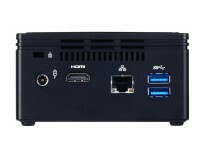 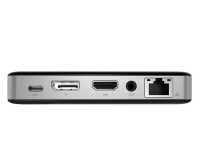 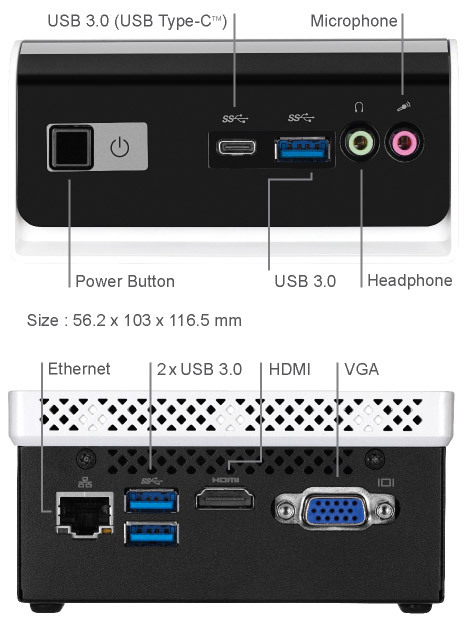 Intel UHD Graphics 600 onboard, dual display capable with HDMI and VGA outputs.